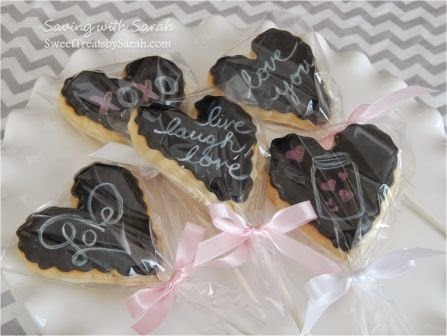 Sweet Treats by Sarah: Valentine Chalkboard Cookie Pops! 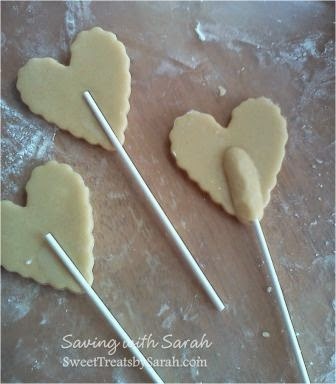 Baking the cookie pop: I like to push the stick into the cookie and then add a support piece of dough to ensure it won't fall off. I bake mine with the dough piece down. 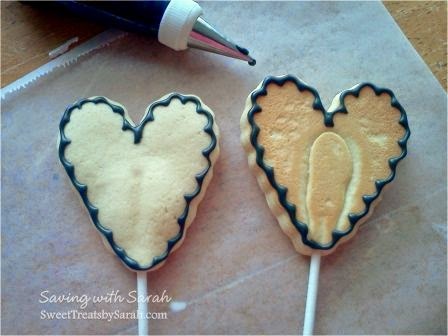 Frosting the cookie pop: Cookie pops almost always end up with a bump where the stick was placed. 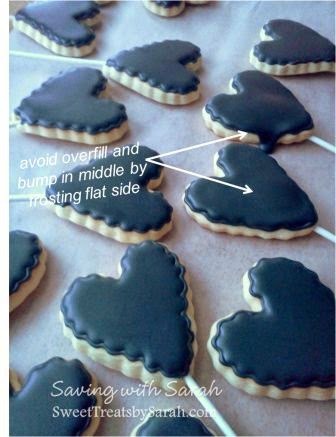 I like to flood mine on the flat side (the back of the cookie pop) to get a nice flat frosting surface. 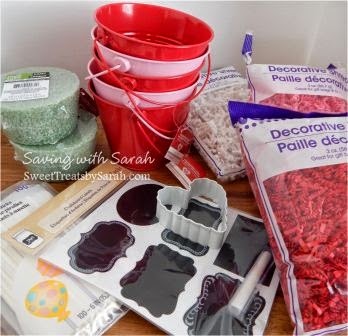 It makes it much easier to paint or stamp with food coloring when there isn't a large bump. 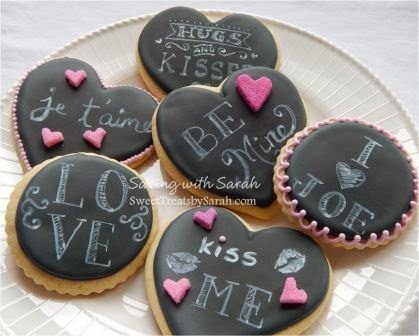 Decorating the "chalkboard": I add a few drops to the white food coloring and just paint (using food safe brushes) directly onto the cookie. 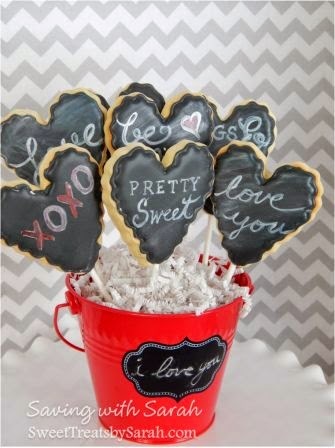 You want to see some strokes here for the "chalk" look. 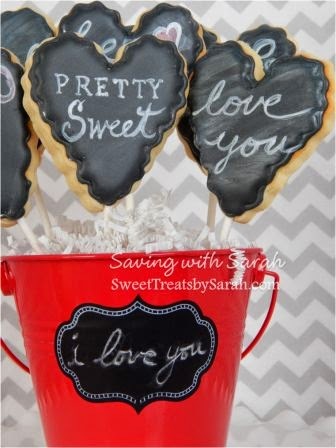 Before I package them, I rub a small amount of powdered sugar on them to finish off the chalkboard effect. 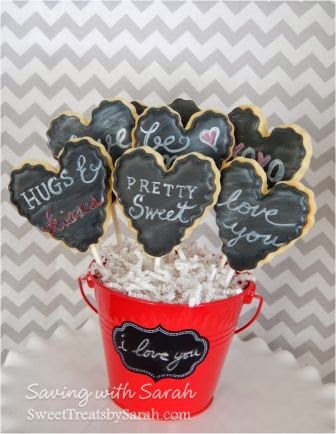 Pop the sticks down into the foam and cover with shreds or bag em and tie em and you're ready to give your special someone some tasty Valentine treats!